Me and my Datsun circa 1983. My father owned a gas station, so I was always around cars growing up. My first car at age 16 was a 1972 Datsun 510. Living in rural southern Oregon, there weren’t a lot of transportation options to choose from, besides a bicycle. So as soon as I could, I spent $900 of my hard-earned, gas-pumping money on my Datsun. When it ran, that car provided freedom. It took me (and my future wife) to countless places and provided a teenage thrill that is practically indescribable. 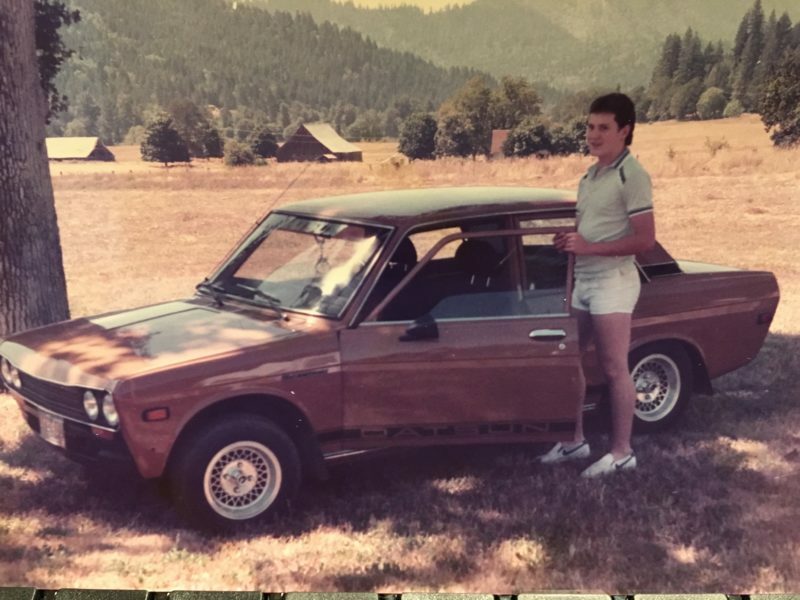 Unfortunately, that car is long gone (and worth a LOT more now than it was in 1983), as is my priceless short-shorts collection (hey, even NBA players from that era look like dorks in hind sight). And a lot of other things have certainly changed. Fast forward to 2018. As Mr. Ford indicated, the transportation revolution appears to be inevitable and powerful. Late last year, I had the opportunity to attend the Urban Land Institute’s (ULI) fall meeting in Los Angeles. One of the hot topics at the conference was how this transportation revolution will be a game-changer for most real estate sectors. Ride hailing marks the beginning of this revolution, and while it’s still in it’s infancy, services such as Uber and Lyft are already having an impact on how people get around. Car sharing services such as Zipcar and Cars 2 Go, allow drivers to (as their marketing people put it) “own the trip, not the car”. Data suggests these sharing economy services have already had a direct impact on the propensity of people to obtain or keep a driver’s license and/or own a car, particularly in metropolitan areas. While driverless cars make most people think of a very futuristic, Jetsons-like setting, recent technological and regulatory progress suggest that this new transportation trend is closer to reality than ever before. Mark your calendars… 2030 is when many foresee mass adoption of fully autonomous vehicles will begin. We’ve come a long way from the Datsun. So, how will this revolution impact Real Estate? Parking structures will become obsolete. Two and three car garages in homes may not be necessary. More delivery trucks will be on roads. Drop-off and pick-up zones in front of buildings will expand and evolve. Transit usage may decline (or it may increase, depending on who you ask). Technology will be built into new “smart roads”. In short… everything will change! I’m not going to try to discuss all these impacts. There are plenty of great articles out there that dive much deeper into each of these topics. But I do want to briefly touch on what Bend is doing to face these oncoming challenges and opportunities. It would be very naïve of us to assume that these huge impacts won’t affect us here in Bend, Oregon. It may take a little longer to reach us, but the impacts are coming just as they are in LA, Seattle and Portland. And I’m happy to say, our city is poised to adapt and evolve in preparation for the revolution. But before we address the ways in which we’re facing transportation trends head-on, it’s helpful to remember how Bend was built and the transportation system that followed. All the Bend roads that have “Market” in them (i.e. Butler Market, Reed Market, Johnson Market, etc.) were roads originally built to get from farm areas to the railroad and commerce areas of downtown. Hard to think of Reed Market as farmland today, isn’t it? Midtown also follows a grid pattern but was built at a time when cars became more prevalent, so sidewalks are more hit and miss. Later, much of the east side was developed at a time when city codes promoted a non-grid land use pattern of limited through streets, instead focusing traffic onto a series of wider collector and arterial streets designed for higher automobile speed. Unfortunately, this land use pattern has led to fewer alternative routes and increasing congestion on a few main streets. Streets go into neighborhoods, but often don’t go through neighborhoods. Increasing mobility in these areas will be an important challenge for the city to solve going forward. We live in a desirable place. And with desirability comes people. And with people comes traffic. Yes, traffic congestion is a common grumble for people in town, particularly those who have lived here for a while. But we must realize we’re becoming more urban, more “grown up”. And we must learn to accept a certain amount of congestion when we enter the urban core. It usually doesn’t make much sense to tear down buildings to make wider streets. It’s not about building bigger roads. It about building more connections between existing roads, providing all kinds of traffic (cars, bikes, pedestrians and transit) with more options to get around town. I wasn’t the only one from Bend who attended the ULI conference in LA last fall. Three high-ranking city staff were there as well and are quite aware of the existing and future challenges our community faces. While LA has significantly greater traffic issues than we will ever have here, there are certainly some lessons to learn from both the actions that led them to where they are and the creative ways they are working to solve those issues. The same innovations are coming, it is just a matter of scale. The Citywide Transportation Advisory Committee (CTAC) is a new citizen committee formed by the City. The responsibilities of the CTAC are to provide recommendations related to transportation challenges and opportunities, and helping the city identify wise investments, rather than sinking public money into infrastructure that will become obsolete. The committee members represent a variety of perspectives, and as an appointed member of the committee, I’m personally excited to see how our city adapts to these exciting challenges. Uber and Lyft are already here. But I’m one of the 76% of Americans who almost always drive alone to work. I have an 8-minute commute and free parking. I love driving, and it’s still easy for me to get around. But my eyes are wide open to the changes coming and I’m excited to be an active participant in this new “revolution”. Throughout his 25+ years here, Dale has had an active role in shaping the fabric of Central Oregon as a planner for Deschutes County, as a land use consultant with the law firm of Bryant Lovlien & Jarvis, as the planning manager for the City of Bend, and in his current role overseeing land use planning and entitlement at Brooks Resources. 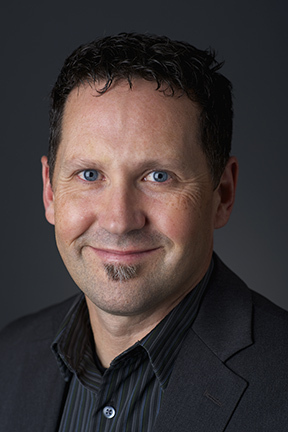 Dale was an active participant in the city’s Urban Growth Boundary (UGB) expansion process, serving on the Boundary Technical Advisory committee. He also serves on the Citywide Transportation Advisory Committee, as well as Building a Better Bend board of directors, the Bend Economic Development Advisory Board, and is a member of the Bethlehem Inn Facilities Advisory Committee.